Due to the fact that the sport isn't that well known means we have a variety of skill levels. Whether you have played on a county team before or have just seen Wild Child, please feel free to come along in the first few weeks of the 2016 university year and give it a go. We have a couple training sessions a week, in which we provide coaching in order to build on whatever skills you already have. We are friendly and welcoming team, so even if playing isn’t for you but you still want to be in a team, we have weekly socials which you are more than welcome to attend if you like – some of which are mixed with other AU teams. In addition to this, we have a fun filled year with exciting events including a Christmas meal, AU ball, Trophy Pres, Varsity, Old Girls weekend and the highlight of the AU calendar being our TOUR during Easter - not to be missed! Being part of Lacrosse has honestly made mine and my team’s university experience even more enjoyable. Allowing us to build friends outside our houses, courses and within other teams. It really does give you a rounded university experience with some of the best memories. 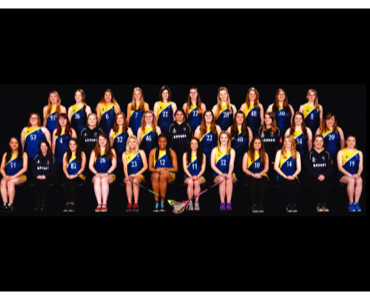 As President of this club in my third year at Hull, women's lacrosse has provided me with bonds that cannot be broken and I wouldn't have wanted to spend my last two years in any other team. I am a very proud member and hope to bring in new members and provide them with the experience I have had. We look forward to seeing you this September at the AU Fresher’s Fair!